Hi, there, girlfriend! Long time, no see! So excited to see you playing along with the card challenge! What an adorable card, cute image and flower! Hope you are doing well! Hugs! 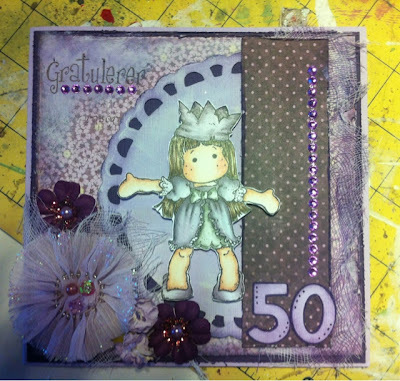 Great to see you Stine, and what a fabulous card, loving your image and the clever use of embellishments. See you again soon, I hope, at SOUS!